and did not set the width of the profile even if you gave the placeholder [W]. This has now been fixed. In addition, the handling of the allowed widths (in FloorLayout.ini) has been changed so that it is possible to give the profile name with [W] to control the allowed widths for parametric profiles. layout, openings are now created in a wall layout that has a surface layer as the last layer. layout seam now works properly when adding seams to a wall layout that has a surface layer. Previously, seams were not added correctly if the surface layer was the last layer in the wall layout. layout connector in cases when the main wall had fewer layers than the secondary wall, an exception occurred. If you clicked Quit in the exception dialog box, Tekla Structures crashed. This has now been fixed, and the preview in the Wall layout connector dialog box is now correct. layout elementation now splits wall layout elements when using the tool twice, first in the vertical direction and then in the horizontal direction, or the other way round. layout has been modified to properly handle elementation in cases where the seam is intersecting only other seams, but not any of the edges of the original boundary. In addition, the elementation can handle cases where the opening edges intersect the original boundary. In Concrete console (111), you can now set the console width on the Picture tab only. Previously, setting the width on the Parts tab did not create the console correctly. reinforcement (77) when selected in the Detailing manager dialog box. layout, the wall geometry can now be modified normally even if some of the openings are not created for the first layer. layout connector now creates proper connections when the number of layers in a wall layout is more than 5, or when the parts at the corner are shorter than 1000 mm. was not zero and the boundary was enlarged at the start end. In Detailing manager, there are several improvements in rule tab handling. Rename the rule tab. Previously, you right-clicked the tab to rename it. Clear the information on the tab. Close other tabs than the selected tab. Close all tabs, including the first tab. Closing all tabs gives you a new empty first tab. is restored whenever some of the layer swappers is removed. In Embedded anchors (8), rebars are now taken into account when calculating the total weight of the cast unit. In Round column reinforcement (82), the main bars are now cut when there is a cut in the concrete, for column shoe, for example. You can now have 25 rule tabs in Detailing manager. The wall geometry is now calculated correctly when there are two openings that touch or overlap. is now applied only for the main layer. Previously, it was applied separately for each layer part. end cuts on the Parameters tab. In Moment connection (181), deleting of bolts now works correctly. (117), you can now define L profile names. (116), you can now define a name for the L profile. (116) and Two sided clip angle (117), the Thread in material option now works correctly for all bolts. between the parts with a U profile was previously incorrectly created. This has now been fixed. (11) now has improved functionality when connecting twin profiles created as plates. and bolt length increase on the Bolts 1-2, Bolts 3 and Bolts 4 tabs. In Turnbuckle connection (126), when you have selected that threads are not cut, you can now select the size of the thread and create the thread 1 mm smaller. The new option is available on the Parameters tab. width is left empty in the component dialog box, its default value is now calculated using the advanced option XS_STANDARD_STIFFENER_WIDTH_TOLERANCE. Objects with polygon cuts are now copied correctly with Radial array tool regardless of how the points to input the polygon cuts are picked. or Bolt hole + Part cut. , material and name on the Stabilizer tab. In Purlin connections (11), when you define that one main bolt is created, the correct number of bolts is now created. edge distances from the brace outer edge are now correctly applied. (1069), the horizontal edge distance is now correctly applied when using an angle profile to connect the beam and the cast plate. flange edge is now correctly applied. In Generation of purlins (50), you can now set the Use extra purlin positioning option on the Parts tab to Yes to change the position and rotation of each even or odd purlin. Linear array tool and Radial array tool now copy the components and cuts of the original, copied object. Deleting objects copied using Linear array tool now also deletes the cuts and fittings that were in the copied objects. Objects with polygon cuts can now be copied again using Linear array tool. Objects with polygon cuts can now be copied again using Radial array tool. When using Radial array tool to copy objects, the polygon cuts, line cuts and fittings now work correctly when the copied object clashes with the original objects or neighboring parts. Linear array tool and Radial array tool now correctly copy the user-defined attributes (UDAs) of the original, copied object. Previously, changing the surfacing attributes in the No paint area component caused Tekla Structures to crash. This happened at least in the French environment. This has now been fixed. center lines are not in line. In Turnbuckle bracing (S3), the rod depth offset is now correctly applied. (49) now works correctly for short secondary parts. In Multiple stiffeners (1064), stiffeners are now not created when you set them to zero (0) height at the top half. width and height is now correctly applied as defined in the dialog box of the component. or a profile on the Parts tab. edge are now correctly applied. position from the end of the secondary beam and the edge distance of bolts is now correctly applied. now uses an existing bolt size and adjusts the hole tolerance value until the desired Hole diameter is reached. In Splice connection (77), you can now create web connections as profiles or plates on the Parts tab. Previously, you could create them as plates only. is now not created when you define the size of the weld as 0. (116), slotted holes are now created for all bolts.
. It is recommended to use this option with file structure set to Single layer, 1 slabdate, n parts on the Main tab. You can now prevent exporting cutouts with the new option Export CUTOUTs. The maximum number of exported elements or layers in the SLABDATE block is now limited to 99 according to the Unitechnik specification. If the limitation is exceeded, you will be notified by a console and log file message. Cage reinforcement main dimensions are now exported in cage's coordinate system instead of the pallet's coordinate system, according to the Unitechnik 6.1.0 specifications. ​Bent meshes with limited rebar angles are now exported with correct origin points. Option to rotate pallet 90° if pallet width exceeded is now working correctly. When exporting rebar as mount part with option Cut outer assemblies, now the correct geometry of rebar is exported.
. If added to cast unit, will be exported in main part's shell (usually 1st shell). can now be exported in the MOUNPART block with the option Cutpart former. Reinforcement tab: The new option First bending angle allow setting the first bending angle of free-flection rodstock to negative, as required by certain interfaces. Steel parts and items now have in the user-defined attributes dialog box a new tab Unitechnik Mountpart, where you can specify data which then overwrites the data entered in the Export Unitechnik (79) dialog box. ​The user-defined attributes dialog box for steel parts and items also contains a new option Exclude from export for excluding mounting parts from the export. The user-defined attributes dialog box for surface objects now contains a new tab Unitechnik, where you can define line attributes that override scanned line attributes. When using template variables, the export now automatically checks the topmost content attribute files to get the unit of the template variable and converts it to the unit used in Unitechnik export. HEADER block data specification tab: You can now specify the number of decimals after the decimal separator. and Template. These two new options offer you custom ways of controlling drawing marks, especially if you are working with cast-in-place structures. The name of the setting Fixed drawing name has been changed to User-defined drawing name. This setting is available when you have selected Fixed text, Reinforcement UDA or Template from the Drawing name source list. So in addition to entering a fixed drawning name, you can also use this setting for mapping the reinforcement UDA or template. but different UDA position number will now be exported to different rows. This tab is used for defining the UDA fields to be used and fields for defining the content to write into Rebar UDAs. You can tag UDAs based on release code, release status, release date and released by information. You can also select whether the existing UDAs are checked and handled by using the new setting Check existing UDAs. The options are No, Prevent export, Report to log, Report to log and overwrite, and Overwrite only. Slabs narrowed by cutting are now exported correctly regardless of the modeling direction. Slabs narrowed by cutting are now oriented systematically, thereby having other cuts and plotting also positioned correctly. If thre is one narrowed sidet, it will be the side with length L2. You can now export gross area as net area by selecting Gross area for the option Net area calculation. IFC2x3 surface view export did not include property sets. This has now been fixed. In PDMS link, the polybeams are now rotated correctly. Exporting a drawing to DWG now sets the plot date when XS_DISABLE_DRAWING_PLOT_DATE is set to FALSE. was not working in area select. This has now been fixed. , the resulting DWG is now rotated according to the base point angle, which was not the case previously. change detection sometimes showed also the old versions of all changed objects. This has now been fixed. Rebars were not exported to IFC2x3 model even though they were selected. This has now been fixed. In DWG export, when you select Drawing as snapshot to CAD model space, the preview now works better. The DWG export will now show error message "Drawing cannot be read" if the exported drawing is missing, not up to date or has similar problems. with an angle have now been fixed. from Tekla Structural Designer to Tekla Structures, slabs were sometimes imported to incorrect locations. This has now been fixed. Earlier, when the model contained grids in negative elevations in Tekla Structural Designer, the grids did not appear at all after export and import into Tekla Structures. This has now been fixed. Earlier, grids exported from Tekla Structural Designer did not always appear in correct elevations when imported to Tekla Structures. This has now been fixed. object conversion settings is no longer used for polybeams for better conversion results. Support for Imperial units when transferring models from Tekla Structural Designer to Tekla Structures has been implemented. When importing from Tekla Structural Designer, slabs with more than 99 points would not be created in Tekla Structures. This has now been fixed. Old DWG export: Sometimes dimension texts had incorrect protect area, which resulted in incorrect DWG files if the option Cut lines with text was used. This has now been fixed. , Tekla Structures now shows an error message if the file name is too long and the file therefore is not imported. Details of the import are included in the session history log file. Click File > Logs to view the log file. license at login, and displays warning message if you attempt to access the service without a license. Tekla Structures sometimes crashed during NC export due to a bolt error. This has now been fixed. NC files: The DSTV export of weld preparations for flanges that have intermediate cuts has now been fixed. Settings dialog box was open. was updated to version 3.6.0.17327. In version 2017, when a report was created for some parts it would take up the whole memory of a computer. Now this issue has been fixed, and the performance has been increased as well. Data from a previous connection in a report was used to populate empty fields. This has now been fixed. The new drawing has the same drawing settings as the original drawing. The user creates a cloning template of a drawing typically after extensive manual modifications have been made in the drawing, in order to achieve the same appearance and contents in new drawings. In the master drawing catalog, it is possible to create single-part, assembly, and cast unit drawings using cloning templates. It is also possible to add new cloning templates to the master drawing catalog from the document manager. was in another model. This has now been fixed. In some complex cases the part protection area was incorrect in drawings. This has now been fixed. Drawing names may now contain square brackets . Previously, cloning some single part drawings sometimes created extra weld marks that were not present in the original drawing. This has now been fixed. to empty and it was previously not empty, the previous tables were still visible. This has now been fixed, and the previous tables are no longer visible. Sometimes drawings containing rebars and rebar dimensions would not open. This has now been fixed. XS_PROJECT, XS_FIRM, XS_SYSTEM and XS_INP, in that order. properties subdialog box. This has now been fixed. Master drawing catalog can be used for searching for master drawings usually in the current model and saving the search results. 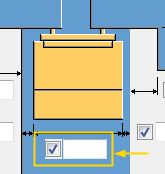 properties dialog box without selecting anything from the options tree, or selecting mark options tree without changing the existing applied settings sometimes caused marks to change position. This has now been fixed. Earlier, curved section views did not work for spiral beams, for example, when you wanted to unfold a spiral stairs drawing. Now the curved section views also work for spiral beams. Lines in an extruder beam drawing were drawn incorrectly. This has now been fixed. Previously, when drawing arcs or circles in a drawing it was not possible to pan the view while the drawing had started, now this is possible. Transparent background mask setting in drawing marks and notes now works correctly when you apply it using OpenApi. instructions. They used to be MODEL specific, now they are by default MODEL(ROLE) specific and you can change the type to SYSTEM(ROLE). Now loading dimension properties from a properties file in a drawing when a dimension is selected works correctly for all fields. was refreshed and all drawings were always shown in multi-user models after save. Now only visible drawings are kept. The plot date was not updated even if the advanced option XS_DISABLE_DRAWING_PLOT_DATE was set to FALSE. This has now been fixed. Printing to printer failed, and the error message Create Directory was displayed if the plot file location setting was empty, invalid or could not be created. This has now been fixed. You can now use spaces in dimension filter rule names. When you created a line in a drawing and you selected to add line bulge in the properties dialog, the Apply button did not apply the bulge. This has now been fixed. Previously, when you modified layout properties of a drawing, sometimes the layout templates were not visible after the modification. This has now been fixed. Previously, saving a model while editing a drawing caused ortho snapping to becomed enabled. This has now been fixed. Drawing views now remember which properties were used and show the name of the properties file in the view properties dialog box, if such file matches the attributes in the dialog box. You can now enter text in the Prefix and Postfix boxes in the Dimension Properties dialog box in drawings. marking, template attributes now work correctly on the Mark 3 tab. and marking, hooks were not drawn in pull-out picture, when the visibility of the reinforcing bars in a group was set to customize in Drawing reinforcement properties. This has now been fixed. The following pattern lines were added to common, US imperial and US metric environments: CityLimits, DoubleFaceConcBarrier, FreeAccessRow, GovernmentLine, HedgeLine, LimitedAccessRow, SingleFaceConcBarrier, and TreeLine. now works correctly also when the object is in skewed position to the main coordinate axis. Previously holes in those objects were dimensioned only by recess type. marking, the quantity of the bars in a rebar set was output, although it was not selected as mark content. This has now been fixed. dimensioning, there were incorrect number of spacings because the rebar group was modeled as "tapered" with rebars going beyond the second input polygon. This has now been fixed. The main cause of the problem was that the rebar group was modeled incorrectly. , the list box labels Rebar position and Text properties are now placed more nicely in the dialog box, and they now exist for both marks. Folder paths defined in XS_FIRM and XS_PROJECT now work with no backslash at the end of the path. could be broken. Now Tekla Structures does not crash anymore. , the drawing status is now correctly updated in a user's local model when reading in. contained a file that was both changed and marked to be deleted at the same time. Now that file is not included in the write out. Instead, it is deleted. With the new XS_CALCULATE_POUR_UNITS_ON_SHARING advance option set to TRUE (default), Tekla Structures now automatically calculates the pour units when users start sharing, read in, or write out. Previously, Sharing automation tool could not always read in changes automatically after an overnight wait. Connection handling has now been improved to fix this. dimensions are now reported correctly when the first bar is excluded. If the rebar set setting Minimum lengths to be created in File menu > Settings > Options > Reinforcement was set to a non-zero value, the creation of rebar sets with curved bars may have resulted in invalid bars. This has now been fixed. now calculates the arc/curve length for curved bars correctly even when the radius is large compared to the bar length. In Tekla Structures 2017i, filtering with numeric or date type of user-defined attributes (UDAs) did not work as in previous Tekla Structures versions. If there was no value in the Value field in the filter rules, the objects were not correctly filtered. This has now been changed to work as previously. Empty values of numeric and date type of UDAs correctly filter the objects. In some cases, comparing two assemblies could cause Tekla Structures to crash. This has now been fixed. The Logical weld property now works in reports. Previously, the result in a report was always empty. Hovering the mouse pointer over model objects now makes the object color darker so that the original object color can still be seen. Previously, hovering changed the object color to gray, which hid the original object color. Setting object locks is now faster than before. Model objects are now added to the Object locks dialog box (Manage > Locks) faster, and the progress bar now shows the actual progress. You can also cancel the action using the Cancel button. Spiral beams can be concrete spiral beams or steel spiral beams. They can be used to create spiral staircases, complex architectural structures, and concrete parking ramps, for example. Spiral beam can rise from the work plane or be flat. If the spiral beam rises, the total rise is defined between the start and the end point. creation failed even if the properties of the beam were correct. This has now been fixed. Previously, Tekla Structures crashed when attempting to delete read-only .dwg files. Now such files are not deleted and Tekla Structures does not crash anymore. Filtering was not working on some specific properties, such as the Preliminary mark property under the Part category. This has now been fixed. Multi-user models now handle model GUIDs correctly. Previously, the GUID value changed after each save or when re-opening the model. This does not happen anymore. The changes list is now shown when importing a model using the Import model command. that was shorter than the profile section height reported one of the profile dimensions instead. This has now been fixed. Previously, saving a large model got very slow if the model had been created with Save as and it was again saved with Save as. This has now been fixed. for the first time is now fast again, taking few seconds only. Previously, plugins would sometimes break after rotating. This has now been fixed. Surfaces are now immediately visible when added to faces with many sections, such as a curved face of a circular column with a very large diameter. of a cast unit that has a drawing. It is not possible to work on the master model. Earlier, when inquiring the center of gravity of bent plates or assemblies containing bent plates, the gross weight was reported incorrectly. This now has been fixed. When opening a model from the command line, Tekla Structures now asks whether to open the autosaved version of the model if there is an autosaved version of the model. The HISTORY.TOUCHED, HISTORY.TOUCHED_ACTION and HISTORY.TOUCHED_BY template attributes now again report the creation date of the part, even if the part is not modified after it is created. The number of supported bolt standards in the No paint area component has been increased from 50 bolt standards to 250 bolt standards. Extensions (.tsep) that were correctly signed during a certificate's validity period are now installed even when the certificate has expired. Extensions signed when the certificate has expired are regarded as having invalid signatures and are not installed. The Microsoft Visual C++ 2013 Redistributable (x64) 12.0.40649 and Microsoft Visual C++ 2013 Redistributable (x86) 12.0.40649 packages are now included in the Tekla Structures installer. These replace the older 12.0.21005 packages. Tekla Structures extension manager now prevents the installation of packaged files to environments that have not been installed. Previously, folders such as \Environments\usimp or \usmet could appear on a user's computer after installing an extension that had been configured for those environments. Line load magnitude is now visualized correctly in the model. Custom inquiry now shows negative values. When using Excel in connection design, the connection specific result file is named using the GUID, Globally Unique Identifier. G600 versions of Metsec rolled profiles have been added to the profile database. These can be used in place of standard finish profiles. The file transfer has a finish option that can be used as an additional flag for Metsec to supply members with this finish. Copying and modifying the number of objects copied with an array tool by using another array tool does not make Tekla Structures to crash anymore. Array tools now have a new parameter to skip copying the UDAs if not needed. , for example, and set it to TRUE. The default value is FALSE. Note that setting the advanced option to TRUE means that columns, for example, that are otherwise identical will be regarded different in numbering, if the stirrup hooks are in different corners. , the list of object types now stays open while you click the small eye buttons to show or hide certain object types. Japanese language font is now correctly shown in reports. When handles are visible, you can now snap to them, even when they are within an opaque object. The Custom Inquiry tool now properly loads the attributes from the Tekla Structures attributes folder hierarchy. Previously, it was always using the default attributes.